While it’s often said that every man has his price, this is not true of insurance companies. Some risks are simply considered uninsurable to insurers at any reasonable price. Think about collision coverage for the Duke brothers’ General Lee, homeowners coverage for the Human Torch’s log cabin, or a liability policy at Jurassic World (the remodeled Jurassic Park of the early 1990s). While the reasons behind avoiding these insurers seem obvious, there are several attributes that may make a risk uninsurable. One attribute that can make insurers turn away is the type of risk. For example, broad coverage for reputational risk is generally hard to insure. There are simply too many ways for a corporation to suffer hits to its reputation and the actual economic loss is generally hard to quantify. Pandemic risk is another coverage not commonly available. Because of the widespread impact any large-scale pandemic would have, coverage would need to be very broad in scope, and insurers generally do not open themselves up to that kind of exposure. While risk managers can take steps to insure parts of the potential losses or to mitigate the risk in different ways, these coverages are a few of the ones considered to be uninsurable. However, the types of risks in a property like Jurassic World are not the types that are considered uninsurable. In general, third-party liability is an insurable risk for most commercial properties. Zoos, public swimming pools, and theme parks all have liability coverage in place to protect themselves from claims by their visitors. The price for these policies is typically related to their safety records, the potential hazards, and the size of the property. A small petting zoo with a good safety record will have lower premiums than a brand-new rock climbing facility. For a theme park such as New Jersey’s previous version of Action Park, poor safety records, intentionally aggressive ride designs, and lax safety protocols led to overly expensive insurance costs and eventually the closing of the park. This individual park became uninsurable at a cost that was acceptable to the insured. Given that Action Park was unable to obtain coverage, it is hard to believe many underwriters and actuaries were pushing to get in the raptors den with Jurassic World. Back in its development stage as Jurassic Park, the safety records were spotty at best and the project was abandoned. The potential hazards of this park, where genetic engineering meets drive-through safari, are rather unique. Even an optimist would project a relatively high frequency of claims for Jurassic World relative to your average zoo or theme park. While insurance is often provided for insureds with high claim frequencies, this is connected with stable and predictable claim costs. Based on its history and attractions, it is not a stretch to believe too many claimants would be eaten to keep claim costs low and predictable. Potential insureds can be classified as uninsurable either by the nature of the coverage requested or by the attributes of the individual risk. Jurassic World would need to take drastic measures to attract any insurers, perhaps enhancing safety measures or bringing in someone experienced with parks and recreation to bring experienced leadership. Only time and a movie ticket will tell if Jurassic World can overcome its reputation and become a safe, functioning park and an insurable risk. Excellent read. You have a way of making boring subjects interesting. 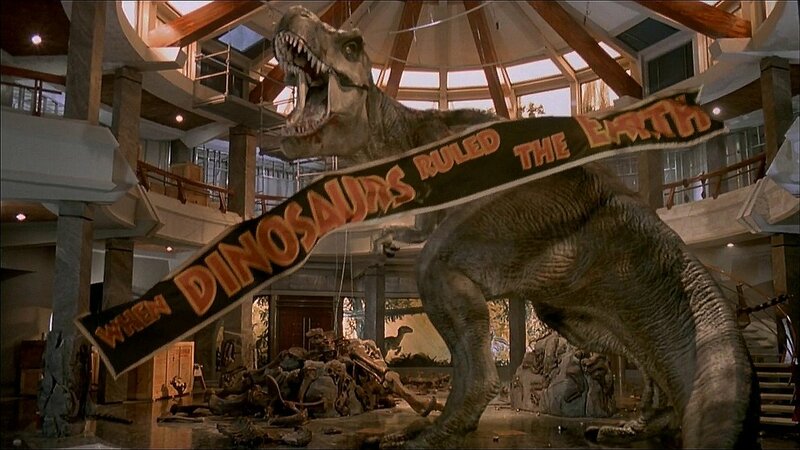 Jurassic park would have benefited from an enterprise risk management program.